Photos: On concrete walls. Co. Cork, SW Ireland. Thallus dark grey or grey-brown, +/- immersed, prothallus absent. 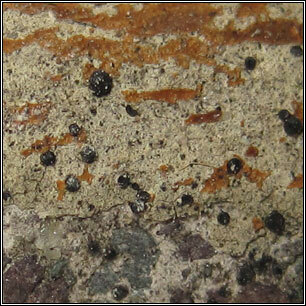 The sessile, convex black apothecia become reddish when wet but are never pruinose. Can resemble perithecia when dry. Hypothecium is reddish-brown. 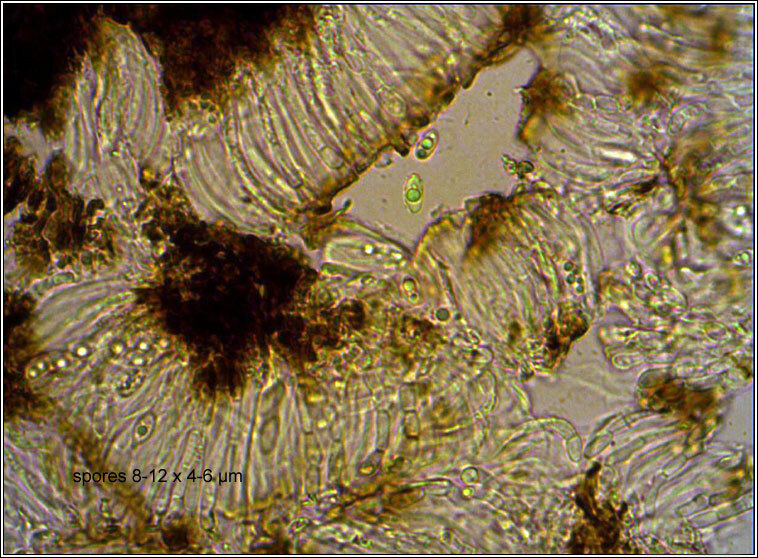 Asci 8-spored with simple, colourless, thin-walled spores, (6-)8-12(-14) x 4-9 µm. Microscope photograph below. 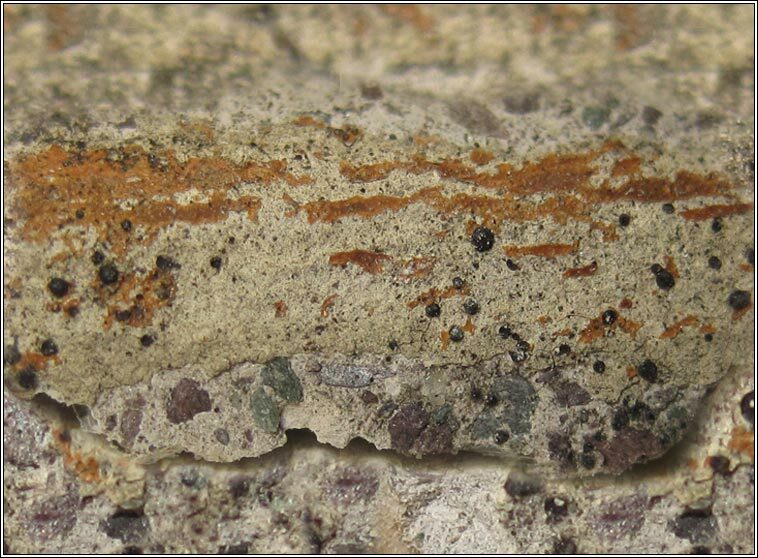 Common and widespread on calcareous rocks and mortared walls. 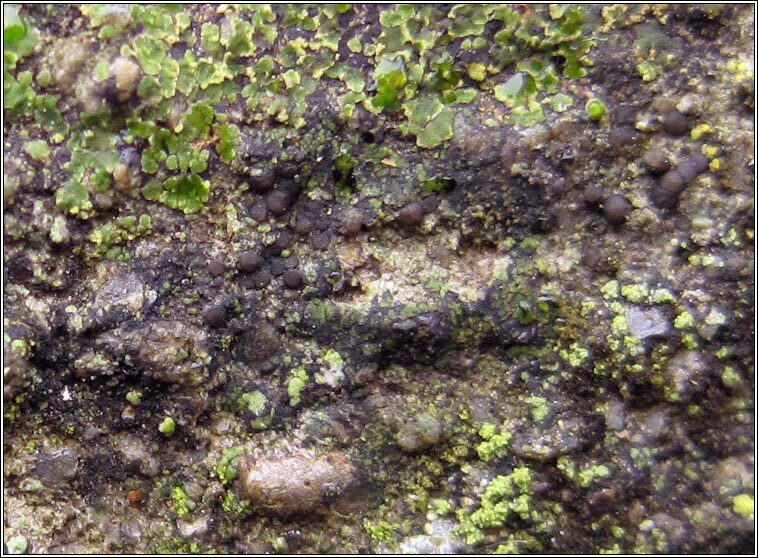 Similar: Lecidella stigmatea: Thallus K+/- yellow. Hypothecium colourless or pale yellow. Sarcogyne regularis: Pruinose discs reddish when wet. Multi-spored ascus.